Dr. Bruce Byrne has been a hand and plastic surgeon in the Dallas area with Regional Plastic Surgery Center since 2000. Dr. Byrne performs a variety of hand and wrist procedures, including endoscopic and open carpal tunnel release, thumb CMC arthroplasty, treatment of fractures and dislocations, wrist arthroscopy, and many others. Dr. Byrne was born in Houston, Texas but moved with his family to the Cleveland, Ohio area when he was 16 years old. He graduated from Solon High School and went on to Pennsylvania State University, where he earned his bachelor’s degree in pre-medicine and was a record-holding swimmer. Dr. Byrne attended medical school at The Ohio State University and received his medical degree in 1993. As a medical student, he was invited to be a member of Alpha Omega Alpha, which is a medical honor society reserved for the top 10 percent of med students. After medical school, Dr. Byrne spent six years at the University of Kentucky completing a combined plastic surgery training residency. The following year, he went to the University of Utah for an additional fellowship in Hand and Microvascular Surgery. 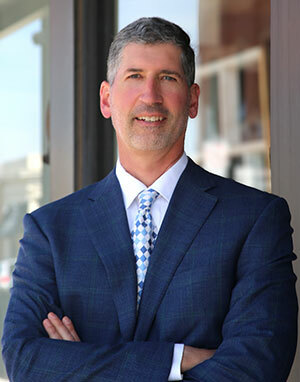 Throughout his career in plastic surgery and hand surgery, Dr. Byrne has presented at national meetings and published papers in national scientific journals. He is board certified by the American Board of Plastic Surgery and is a member of the American Society of Plastic Surgery and the American Society of Surgery of the Hand.